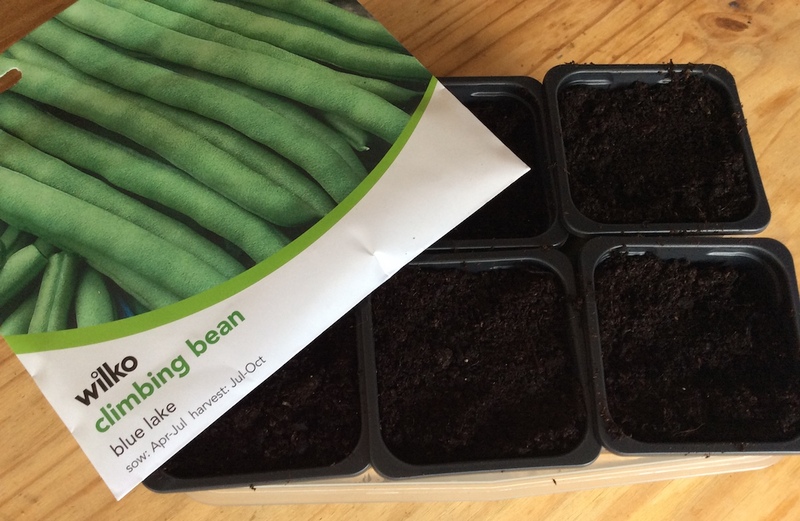 As we’re heading towards the end of April, it’s time for me to plant my French Beans. I’ve always started them off indoors in pots, and once again, I’ve opted for French Bean ‘Blue Lake’, which have grown well for me most years (when they don’t get fried, blown to bits, or eaten by marauding snails). In good years, these beans have given me many crops of beans, so as I head towards the final days of my tiny little border garden, and towards the proper new garden, I’ve sown 12 of these beans in a hope that they will give me a bumper crop come July. I erect a wigman from bamboo canes and let them get on with it, and give them plenty of water. French Bean ‘Blue Lake’ are ready to sow. Usually these smooth pale off-white bean seeds shoot up through the multipurpose compost within just a few days and with a great success rate. I’ve bought some fresh seed for the first time this year too, so hopefully they’ll be super-charged and soon climbing up those poles in my new garden. Meanwhile, I tackled my Antirrhinum ‘Chuckles’ forest, which having only had one germinate from the old seed, and hundreds from the seed head of one of the Antirrhiums in my garden that I used to re-sow a few weeks later, it was time to prick out some of the seedlings from the lush green forest on the windowsill. My Antirrhinum ‘Chuckles’ forest. 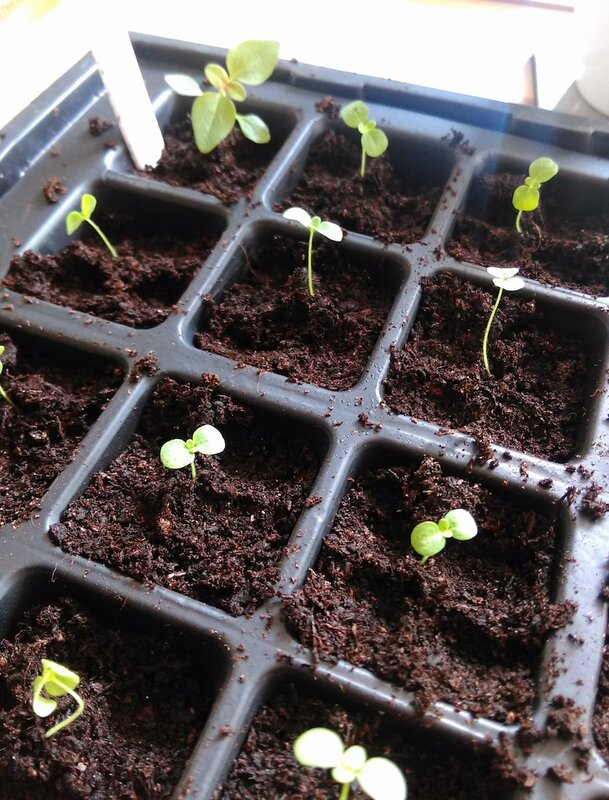 The large seedling (foreground, right) was the only one to germinate from the old seed. One great thing with these plants is that once you’ve got Antirrhinums, you’ve got Antirrhinums – such great value for money! Whoever is having my old house and garden, is going to have Antirrhinum’s unless they own a blowtorch or are very creative with concrete and cement. I’m looking forward to introducing them to my new garden and letting them find where they’d prefer to grow in year 2. I spent quite a cathartic while carefully pricking out seedlings on Saturday morning, which hardly seems to have made a dent in the forest, but as given me 47 pricked out seedlings. Some of the Antirrhinum ‘Chuckles’ seedlings after being pricked out. 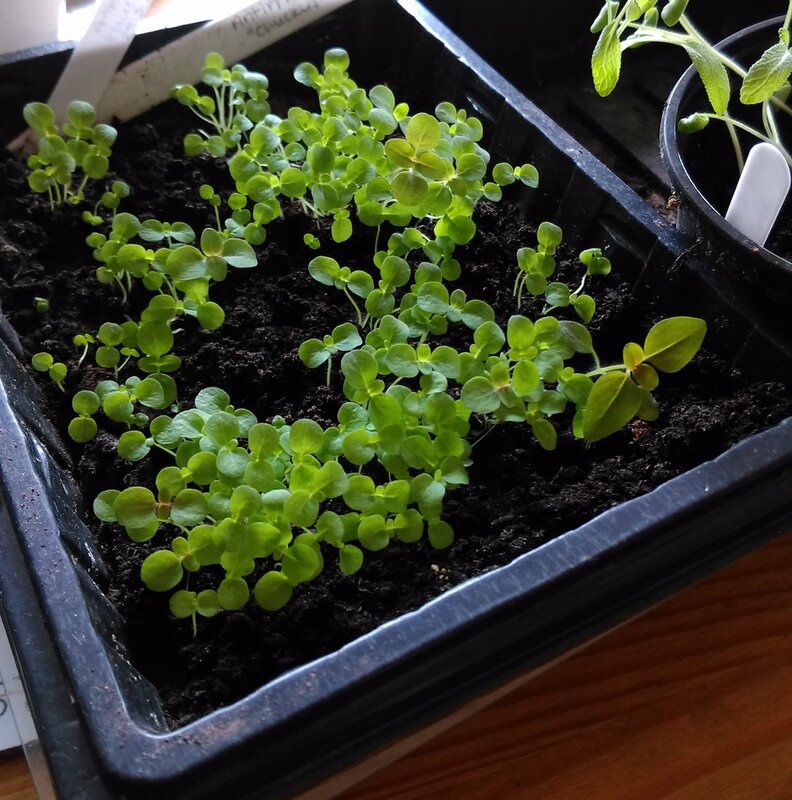 I suspect I could probably fill another 4 or so trays with Antirrhinum seedlings, so I might do another one, and see whether my mother wants any for her garden. If not, just plonk the rest in the garden after the frosts and let them get on with it. Anyway, there’s plenty of things to prick out, sow, and dig up in preparation for the coming week’s house move. So, with April nearly at a close, I wish you another week of happy gardening.